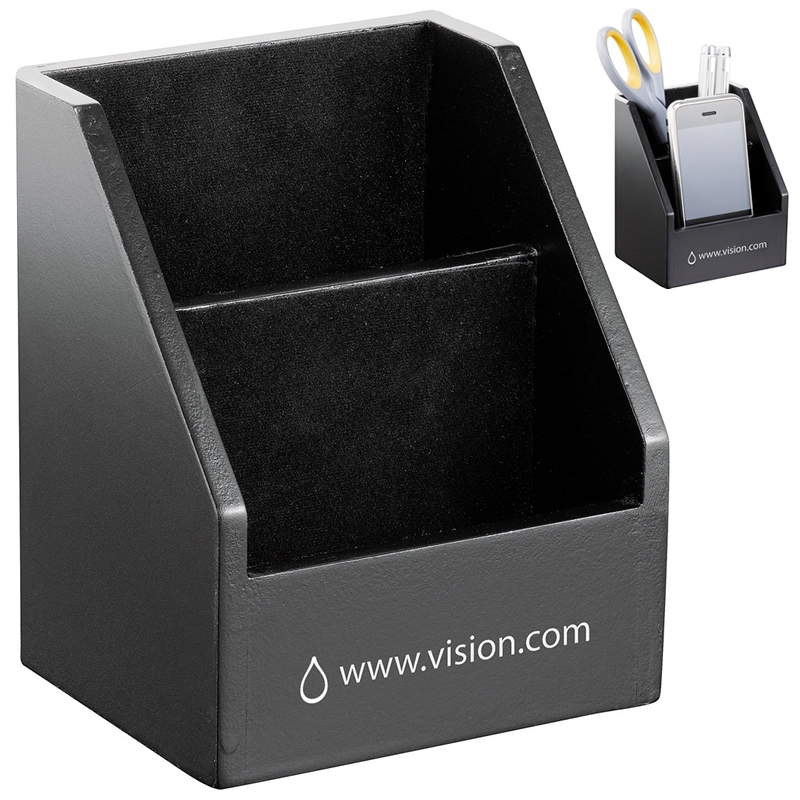 This uniquely designed desk caddy with docking station keeps work space well organized. 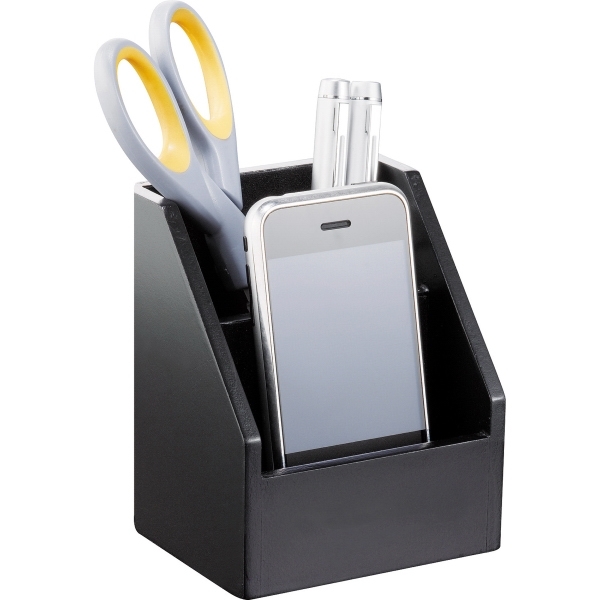 It features compartments for any size mobile phones/smartphones and for any any other small desk accessories in the rear and is an elegant way to dress up the work area. 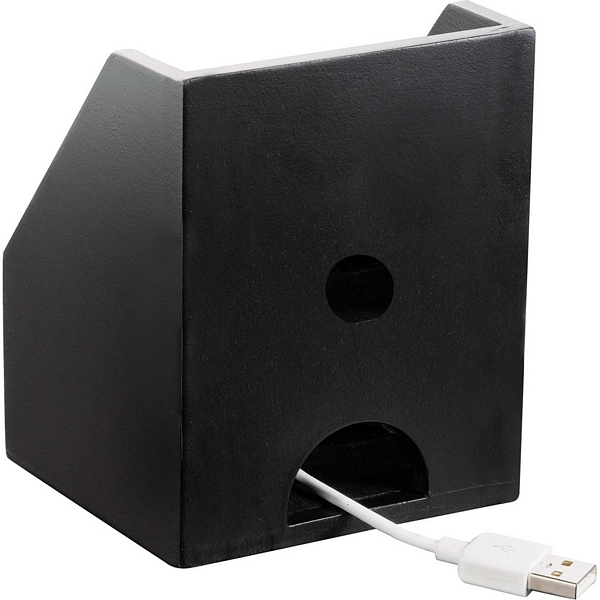 This can accommodate all size phones. Charging station does not include charging cords or power outlets. Order today and enjoy convenience, ease of use!